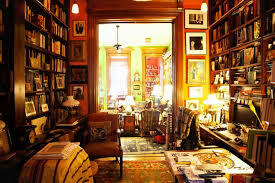 …so, I have been tossing this idea around of remodeling my bedroom, and having a personal library in my room. 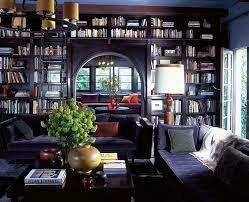 I love the dark tones in this library! No, I do not have a huge bedroom; but I do have a walk-in closet that is easily big enough for me to put a twin size bed in it. I currently have a queen size bed, and it takes up so much space in my bedroom. I feel fairly confident that my cat and I can both share a twin size bed. It is tiny, but beautiful! Which would then leave my whole “bedroom” area for a nice chair or love seat, more bookcases (full of books, of course), and even an electric fireplace. It would make a nice, relaxing area for me to read, as well as relax, listen to music, and so on. A big, fluffy rug to lay on, and I will be all set. These dark tones are wonderful! As soon as I begin on this journey of creating something I have wanted my entire life, I will share the before pictures, as well as progress and the final end result. 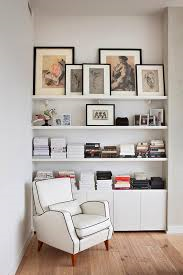 Do you have a library in your home? What do you keep on your shelves other than books? Previous Article Tuesday’s Thought For The Day! Next Article Friday Fun Facts!